How do I know the Bible is true (part 1)? This eight-part series answers common objections to the Bible as the Word of God. Objection 1: No one really knows what the Bible says because the original manuscripts are lost. Craig L. Blomberg writes, “In the original Greek alone, over 5,000 manuscripts and manuscript fragments or portions of the NT have been preserved from the early centuries of Christianity. The oldest of these is a scrap of papyrus containing John 18:31-33, 37-38, dating from A.D. 125-130, no more than forty years after John’s Gospel was most probably written” (“The Historical Reliability of the New Testament,” Reasonable Faith: Christian Truth and Apologetics, pp. 193-94). Andreas J. Kostenberger adds, “The total tally of more than 6,000 Greek mss., more than 10,000 Latin Vulgate mss., and more than 9,300 early versions results in over 25,000 witnesses to the text of the NT” (“Is the Bible Today What Was Originally Written?” found in www.4truth.net). So how does the Bible stack up against other ancient manuscripts? According to scholar F.F. Bruce, we have nine or 10 good copies of Caesar’s Gallic Wars; 20 copies of Livy’s Roman History; two copies of Tacitus’ Annals; and eight manuscripts of Thucydides’ History. The most documented secular work from antiquity is Homer’s Iliad with 643 copies. But the New Testament, with its thousands of Greek manuscripts alone, is the most highly documented book from the ancient world (The New Testament Documents, Are They Reliable?, p. 16). Generally speaking, the older the manuscripts, the better. The oldest manuscript for Gallic Wars is roughly 900 years after Caesar’s day. The two manuscripts of Tacitus are 800 and 1,000 years later, respectively, than the original. The earliest copies of Homer’s Iliad date from about 1,000 years after the original was authored around 800 B.C. But with the New Testament, we have complete manuscripts from only 300 hundred years later. Most of the New Testament is preserved in manuscripts fewer than 200 years after the original, with some books dating from a little more than 100 years after their composition and one fragment surviving within a generation of its authorship. No other book from the ancient world has as small a time gap between composition and earliest manuscript copies as the New Testament. How careful were the copy makers? Scholars of almost every theological stripe attest to the profound care with which the Old and New Testament documents were copied. For the New Testament, for example, the books were copied in Greek, and later translated and preserved in Syriac, Coptic, Latin and a variety of other ancient European and Middle Eastern languages. The New Testament is the most accurately copied book from the ancient world. Textual scholars Westcott and Hort estimate that only one-sixtieth of its variants rise above “trivialities,” which leaves the text 98.33 percent pure. Noted historian Philip Schaff calculates that of the 150,000 variants known in his day, only 400 affected the meaning of a passage; only 50 were of any significance; and not even one affected an article of faith (Companion to the Greek Testament and English Version, p. 177). Sir Frederick Kenyon, a New Testament authority, writes, “The number of manuscripts of the New Testament, or early translations from it, and of quotations from it in the oldest writers of the Church, is so large that it is practically certain that the true reading of every doubtful passage is preserved in some one or other of these ancient authorities…. This can be said of no other ancient book in the world” (Our Bible and the Ancient Manuscripts, p. 55). More will be addressed on the topic of textual variations in our next lesson. Eyewitnesses and contemporaries of Jesus wrote the New Testament. For example, Luke probably wrote his gospel around 60 A.D., before he penned Acts. Since Jesus died around 33 A.D., this would place Luke only 27 years after the events, while most eyewitnesses – and potentially hostile witnesses – were still alive and could have refuted Luke’s record. The apostle Paul speaks of more than 500 eyewitnesses of the resurrected Christ when he wrote 1 Corinthians, which critics date around 55-56 A.D. John and Peter add similar testimonies (1 John 1:1-2; 2 Peter 1:16). In short, while it’s true we are lacking the “autographs” of scripture, we have sound reasons to be confident that what we read today has been faithfully preserved through thousands of copies, many of them written in close chronological proximity to the time they were originally penned. “If we compare the present state of the New Testament text with that of any other ancient writing, we must … declare it to be marvelously correct. Such has been the care with which the New Testament has been copied – a care which has doubtless grown out of true reverence for its holy words…. The New Testament [is] unrivaled among ancient writings in the purity of its text as actually transmitted and kept in use” (Benjamin B. Warfield, Introduction to Textual Criticism of the New Testament, pp. 12-13, quoted in The Case for Christ by Lee Strobel, p. 70). Next: The Bible has been copied so many times, with so many variations, there’s no way to know what was originally scripted. His promise to depart and return to the Father (John 16:7). The coming of the Holy Spirit was contingent upon Jesus completing His work of redemption and returning to His Father. See also John 7:39; Acts 2:32-3. A.J. Gordon writes, “The Spirit of God is the successor of the Son of God in His official ministry on earth. Until Christ’s earthly work for His church had been finished, the Spirit’s work in this world could not properly begin. 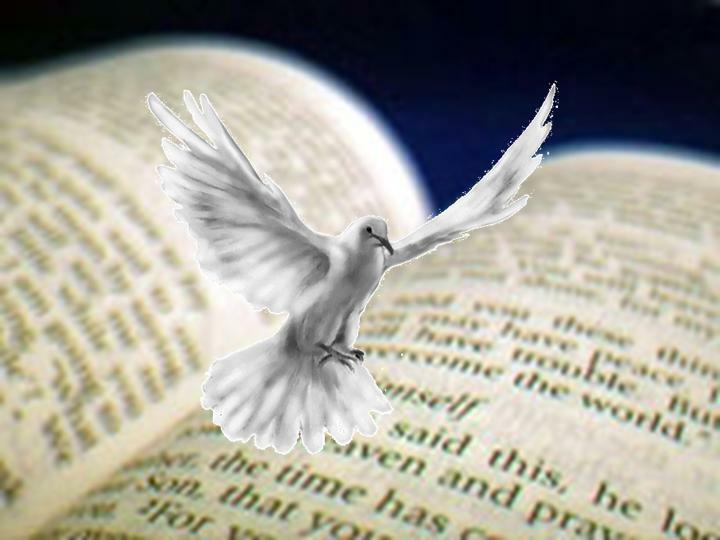 The office of the Holy Spirit is to communicate Christ to us – Christ in His entireness” (The Ministry of the Spirit, p. 28). His promise of the Spirit’s ministry to unbelievers (John 16:8-11). Without the Spirit’s work to convince unbelievers of the sin of unbelief, the righteousness of Christ, and the judgment that will fall upon them if they persist in their rejection of Jesus, no one could be saved. In fact, the Spirit already was at work on the morning of Pentecost, pricking the hearts of the Jewish unbelievers listening to Peter (Acts 2:37). To regenerate us, or make us spiritually alive (John 3:3-8; Titus 3:5). To indwell us, or take up permanent residence in our human spirit (John 14:17; 1 Cor. 3:16). To baptize us, initiating our relationship to Him and establishing our connection with Christ and other believers (Acts 1:5; 1 Cor. 12:13). To seal us, a guarantee that God will take us fully into His presence one day (Eph. 1:13-14). To teach us, or give us divine assistance (John 14:26; 1 Cor. 2:12-13; 1 John 2:27). To empower (fill) us for witnessing (Acts 1:8). To equip us with spiritual gifts (Rom. 12:6-8; 1 Cor. 12:7-11; Eph. 4:11; 1 Peter 4:11). 5. His promise to identify His Body (the church) by the Spirit (John 14:16-18; Rom. 8:9-11). This is the second in a nine-part series of articles offering sound reasons to believe the Bible is the Word of God. Both the Old and New Testaments are attested by a large number of manuscripts in a variety of forms spanning many centuries. The word “manuscript” is used to denote anything written by hand, rather that copies produced from printing presses. According to scholar F.F. Bruce, we have nine or 10 good copies of Caesar’s Gallic Wars; 20 copies of Livy’s Roman History; two copies of Tacitus’s Annals; and eight manuscripts of Thucydides’ History. The most documented secular work from antiquity is Homer’s Iliad with 643 copies. But there are roughly 5,000 Greek manuscripts of the New Testament, making this collection of 27 books the most highly documented book from the ancient world (The New Testament Documents, Are They Reliable?, p. 16). Generally speaking, the older the manuscript copies, the better. The oldest manuscript for Gallic Wars is roughly 900 years after Caesar’s day. The two manuscripts of Tacitus are 800 and 1,000 years later, respectively, than the original. The earliest copies of Homer’s Iliad date from about 1,000 years after the original was authored around 800 B.C. But with the New Testament, we have complete manuscripts from only 300 hundred years later. Most of the New Testament is preserved in manuscripts less than 200 years from the original, with some books dating from a little more than 100 years after their composition and one fragment surviving within a generation of its authorship. No other book from the ancient world has as small a time gap between composition and earliest manuscript copies as the New Testament. “In the original Greek alone, over 5,000 manuscripts and manuscript fragments or portions of the NT have been preserved from the early centuries of Christianity. The oldest of these is a scrap of papyrus containing John 18:31-33, 37-38, dating from A.D. 125-130, no more than forty years after John’s Gospel was most probably written” (Craig L. Blomberg, “The Historical Reliability of the New Testament,” Reasonable Faith: Christian Truth and Apologetics, pp. 193-94). “The versions and Church Fathers provide helpful early attestation that can aid scholars in reconstructing the most plausible original readings. The total tally of more than 6,000 Greek mss., more than 10,000 Latin Vulgate mss., and more than 9,300 early versions results in over 25,000 witnesses to the text of the NT” (“Is the Bible Today What Was Originally Written?” by Andreas J. Kostenberger, found in www.4truth.net). Mormons and Muslims allege that the Bible’s documents were substantially corrupted as they were copied over time, but there is overwhelming evidence that proves these claims wrong. Many of the apparent discrepancies in the gospels, Acts and the writings of Paul – minor as they are – disappear once we judge ancient historians by the standards of their day rather than ours. As Craig L. Blomberg writes, “In a world which did not even have a symbol for a quotation mark, no one expected a historian to reproduce a speaker’s words verbatim” (“The Historical Reliability of the New Testament,” Reasonable Faith: Christian Truth and Apologetics, p. 207). “The point is simply that the textual evidence for what the NT authors wrote far outstrips the documentation we have for any other ancient writing, including dozens which we believe have been preserved relatively intact. There is absolutely no support for claims that the standard modern editions of the Greek NT do not very closely approximate what the NT writers actually wrote” (Craig L. Blomberg, “The Historical Reliability of the New Testament,” Reasonable Faith: Christian Truth and Apologetics, p. 194). The only textual variants in the New Testament that affect more than a sentence or two are John 7:53-8:11 and Mark 16:9-20. Craig Blomberg writes, “Neither of these passages is very likely to be what John or Mark originally wrote, though the story in John (the woman caught in adultery) still stands a fairly good chance of being true. But overall, 97-99% of the NT can be reconstructed beyond any reasonable doubt, and no Christian doctrine is founded solely or even primarily on textually disputed passages” (“The Historical Reliability of the New Testament,” Reasonable Faith: Christian Truth and Apologetics, p. 194). The New Testament was written by eyewitnesses and contemporaries of Jesus. For example, Luke probably wrote his gospel around 60 A.D., before he wrote Acts. Since Jesus died around 33 A.D., this would place Luke only 27 years after the events, while most eyewitnesses – and potentially hostile witnesses – were still alive and could have refuted Luke’s record. The apostle Paul speaks of more than 500 eyewitnesses of the resurrected Christ when he wrote 1 Corinthians, which critics date around 55-56 A.D. John and Peter add similar testimonies (1 John 1:1-2; 2 Peter 1:16). This is the final installment in an eight-part series addressing skeptics’ claims against the Bible. Click here to read the full series or download the article. Objection 8: There are so many Christian denominations today, it’s clear that Christians can’t agree on what the Bible teaches. The Handbook of Denominations in the United States (12th Edition) lists more than 200 Christian denominations in 17 broad categories, from “Baptist Churches” to “Community and New Paradigm Churches.” If Jesus prayed that His followers would be one (John 17:11), and if there is to be “one body and one Spirit … one Lord, one faith, one baptism” (Eph. 4:4-5), why can’t Christians get along? Even within denominations such as the Southern Baptist Convention there have been major splits over issues such as the inerrancy of Scripture and the role of women in the church. Doesn’t all this contentiousness prove a fatal flaw in the Bible, since even people who study it and say they believe it can’t agree on what it teaches? First, it should be noted that many of the disagreements among Christians are over matters of conscience, such as which day of the week to worship, dietary restrictions, or which translation of the Bible to use (see Rom. 14:1-23; 1 Cor. 10:23-33), or they focus on lesser points of doctrine, such as the mode of baptism, church polity or the manner in which missions activities are organized and funded. Second, it should be acknowledged that Christians often have engaged in petty squabbling, internal power struggles and political wrangling, resulting in unnecessary divisions in the body of Christ, not to mention damage to the church’s reputation. The New Testament implores believers to be gracious toward and forgiving of one another; clearly, this has not always been the case. At the same time, Christian denominations generally developed out of a desire for fellowship and joint ministry between individual churches – a biblical concept (Acts. 11:27-30), according to Charles Draper (“Why So Many Denominations?” Apologetics Study Bible, p. 1709). In addition, denominations many times began as renewal movements. The Reformed movements of the 1500s sought to restore the doctrines of the sovereignty of God and justification by faith to the church, which had all but abandoned these biblical teachings. In time, some Presbyterians drifted toward liberalism and new conservative Presbyterian groups emerged to preserve the Reformed teachings. Baptists came along within the Reformed tradition. Pentecostals and charismatics formed new unions based on their view of the Holy Spirit and spiritual gifts. There is a rich diversity among Christian denominations, and the differences between them often are not as wide as they appear. This is not to say that all differences are minor, or that all should be set aside for the sake of unity, for in Scripture Christian unity is the product of God’s Spirit working in the hearts of regenerate people and anchored in the truth of God’s Word. Some separations are, in fact, necessary. In the New Testament, many false teachers were disciplined or left the churches (see 1 Tim. 1:18-20; 1 John 2:19). In addition, the apostle Paul warns the church that false teachers will rise to prominence in the church in the days before Christ’s return (2 Tim. 3:1-9). The church today should be on guard against those who preach “another Jesus … a different spirit … a different gospel” (2 Cor. 11:4). For example, Mormons and Jehovah’s Witnesses claim to be Christian in their theology and practice, yet both organizations deny the central teachings of Scripture, particularly those having to do with the person and work of Christ, the person and work of the Holy Spirit, and the gospel. Charles Draper summarizes: “The most important thing to do is to examine a church’s teaching and practice to see if it is consistent with Scripture. And finally we have to realize that in this life Christians will not agree on everything” (Ibid. ).